Hildegund is always getting in trouble for acting  too masculine. If it was up to her she would have been born a boy, but that's not how the world works. Or, at least that's what she has always believed. Then, Hildegund gets the opportunity to dress as a young man during a pilgrimage east. Along the way she will face challenges, heartbreak, and will finally be able to ask the question: How can wearing male clothes be a disguise when it feels so authentic? This is the story of a journey across continents and across genders. 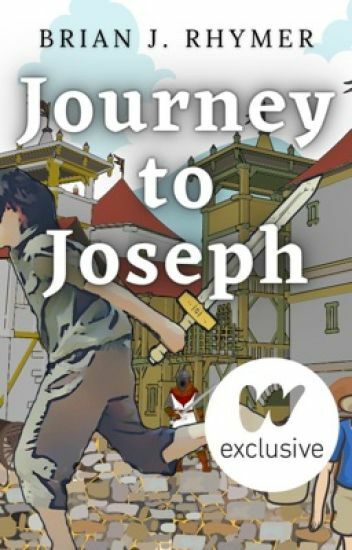 Set in 12th century Europe and inspired by a true story. Because of his mixed blood, Leithan Blackfeather doesn't truly belong to either side. When tensions rise between the two communities and war seems imminent, Leithan is caught in the middle. But he finds an unexpected ally in Teshin, a young man just woken up from a freakishly long coma. Teshin knows many of the island's secrets, though he doesn't like to talk about his past. Now, on top of trying to save both peoples - and himself in the process - Leithan must decide whether he can really trust his mysterious new friend. Although trans* visibility has only increased in recent years, it is not a new experience. Transgressing gender boundaries is not a fad. Trans* history is as diverse and far-reaching as human civilization. In this book I will explore gender nonconformity in early Western civilization. My focus will be on stories from Late Antiquity through the early Middle Ages in Europe. Before reading, please be aware that there have been a lot of negative attitudes directed towards gender variant people throughout history. Negativity does not negate our existence! We exist today, we existed in yesteryear, and our history should no longer be ignored. Xue Ge, delinquent transfer student, just wanted to score the most beautiful girl in class. Because, well, he's 16. Jennifer, said beauty, wanted to hurl Xue Ge into outer space. She had eyes for someone else. Matthias, said someone else, has autism. We're not sure what he was thinking. Sorry, Matt. Their emerging feelings for each other threatens to tear them apart. So now all Xue Ge wants is to keep his two best friends. But a green van rolling into school threatens to take even that away. This is a slightly different Malaysian love story. Being different in a land that demands conformity can be tough, but these three young lives are willing to give their all to stay together. Note: The STORY (plot-wise) is complete, but the writing prose is awful so I haven't clicked "completed". A first-time chronicler pursues traces of a masked folk hero, a government cover-up, and his own missing father across a land trampled between two empires. A magazine for the lgbt+ community and it's allies and fangirls on wattpad. Anyone can write, suggest an article for us. Just add the book to library open it up and read how you can submit your story or fiction to us. "And so you have returned to your ancestral land- and so have you disrupted the slumber of those who came before." Diana Tao knew that in transferring to Wyvern Academy in Hong Kong she would find her future. But, she never knew she'd find her past. As the secrets of Wyvern Academy become unearthed, Diana finds herself toeing the line between dreams and realities. Haunted by a blood-soaked woman and vengeful spirits awakened by her blood, she must discover the roots of her ancestors or be doomed to the same fate. Book One of the Wyvern Academy series. A book club exclusively for LGBT+ stories. Read intro for more details. Currently accepting. The Gem Awards does community service in the LGBT+ community. Do you write or read lgbt+ books? do you wish to have fair and diligent judges review your work? Do you wish to reach a wider audience? Then you are in the right place. Add the book to both your public and private reading lists and read on ahead for how to proceed. Thank you for your cooperation. WE ARE NOT AFFILIATED WITH WATTPAD.